Minecraft was a game that I had heard a lot about and it did pique my interest. So I downloaded the demo for my Xbox 360 and tried it out…found it unbelievably dull and deleted it from my hard drive. Minecraft was just not that interesting and I really could not understand the love for it either. Still, months passed by and I accidently stumbled on a Youtube video where someone had built an entire village on Minecraft…and I was impressed, I didn’t know you could even do that. That got me looking for other videos of what people had built in Minecraft. I found space shuttles, pirate ships, the Titanic, a playable guitar, King Kong fighting a T-Rex, 1940’s New York, a working and playable version of Donkey Kong. Finding these blew me away and opened my mind as to what Minecraft really was. Most of these were built on the PC version which is far bigger, but the Xbox 360 version still allowed you to be as creative as you wanted. It’s essentially LEGO in digital form…but that is putting it into bare basic terms. Minecraft is so much more than just building blocks. It was well and beautifully crafted “experience”. Each block has it’s own attribute, strengths and weaknesses. While there is a basic “creative” mode where you can select any block or item within the Minecraft world and just build with them, I personally prefer “survival” where you start with nothing and have to work to progress and build. “creative” is fun if you want to build something fast, but “survival” makes you earn those buildings as you have to work for every block and item you want and need. “Survival” mode for me is where the main meat of the game lies. Spawn in a randomly created world with nothing. Your first job is to find a tree and chop it down (with your bare hands) to obtain some wood, turn that wood into sticks and make a wooden axe. Chop down more trees, this time faster with the wooden axe and build a crafting table…and this is when what you can do in Minecraft opens up as you are greeted with a plethora of crafting and building options. Minecraft slowly unfolds, opens up as you play and provides you with one of the most immersive and creative open worlds to play in. From humble beginnings of starting with nothing, to the ability to create entire cities, working computers, to anything you can think of. Plus the HUGE and never ending mod community on the PC and constant free updates and new features from the developers themselves. Minecraft is a game that just will never end in the near future and will continue to grow and grow. But why does Minecraft work? I don’t know. There’s not real goal to achieve, no narrative or plot, no real characters. Its the very definition of wasting time. Its not really a “game”…or is it? Minecraft “works” as it allows the player to be and create whatever they want. Just like when I was a kid playing with LEGO when I would create my own world, my own environment, my own characters. Minecraft give you to ability to be whoever you want, while the default character is named Steve (works for me), he can be whoever you want him to be. Make your “Steve” your own persona/character, create a world just for him, make up your own stories and history. It becomes an RPG you dictate and build. You can even download skins from fan made to officially created and licensed characters. Want to be Homer Simpson and create you own Springfield? Well you can. Want to become The Avengers and build your own New York to watch over and protect? Yes, you can do that too. Even better if you have a regular group of friends to play multiplayer with and help you build and create your world. Multiplayer Minecraft is a pure joy to play and engage in. The more you play, the more you learn how to play and create. Minecraft is a blank canvas that is limited only by your own imagination. For me, this is why I initially didn’t like the game, because I wasn’t using my imagination, my own creativity. I was so used to modern gaming that hand-holds the player every step of the way that I forgot how to be a kid again, forgot how to use my own imagination when playing with LEGO as I used to. You need to approach this game with an open and even child-like mind and you’ll be rewarded with one of the most imaginative gaming worlds ever created…and created by you. With Minecraft, the world is your lobster. 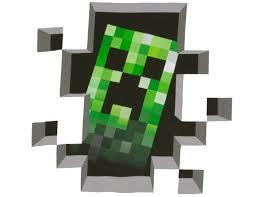 So far I own Minecraft on my PC, Xbox 360 and even my iPad. Minecraft has stolen many, many, many hours of my life and I don’t regret a second of it. It is one of the most creative and relaxing games to play and worthy of anyone’s time. This entry was posted in LBoG: Editorials and tagged Gaming editorials, Little bits of gaming, Minecraft, retro gaming, Retro gaming blog on 27/04/2015 by Steve Perrin.